The MWC starts today, but some news have already appeared. 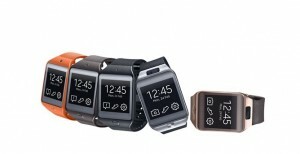 Yesterday Samsung unveiled its new smartwatches, the Gear 2 and Gear 2 Neo. Both devices will replace the Galaxy Gear, which has been on the market for the last few months. The new devices are quite similar aesthetically to its predecessor, but the most notable change is the operating system. 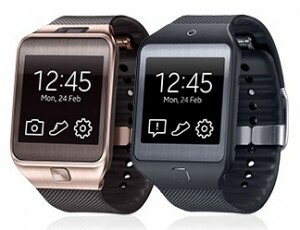 The Gear 2 and Gear 2 Neo abandoned Android to run Tizen, although the company claims to be compatible with many Samsung Galaxy (and probably other Android devices). The main difference between the two models is the camera. The Gear 2 carries a 2.0 Megapixel camera with Auto Focus, while Gear 2 Neo doesn’t have any camera. The material also looks different. The Gear 2 Neo displays a plastic texture, while the Gear 2 looks metallic. There are differences in color and weight too, being the Neo somewhat lighter (Neo weight 55 g , the Gear 2 68g). All other features are identical, from the display (1.63-inch super AMOLED 320×320) to the 1.0 GHz dual core processor. The battery has 300 mAh, enough for 2 or 3 three days of normal use and up to 6 days of low usage. Both smartwatches are designed to be useful in everyday situations, so we can use them to control various electronic devices in our home, such as TV, connecting with Samsung WatchON application. They also include a lot of fitness features. Among other things, they include heart rate sensors and pedometer, and can be customized for different sports such as walking, running, cycling or hiking. More information at Samsung Mobile Press.